I have been scouring the internet for the past 6 months for one thing alone: the perfect pendants to go over the island. Function + industrial + appropriate sizing + versatile + WOW factor. Nothing too modern. Nothing too fancy. Not just any pendant will do. And the tiny 4″ opaque glass pendants currently sitting above my kitchen island are JUST. SO. SAD. I am about 99% sure that THE pendant is among these below. But I’m still not sure which one is my favorite quite yet. 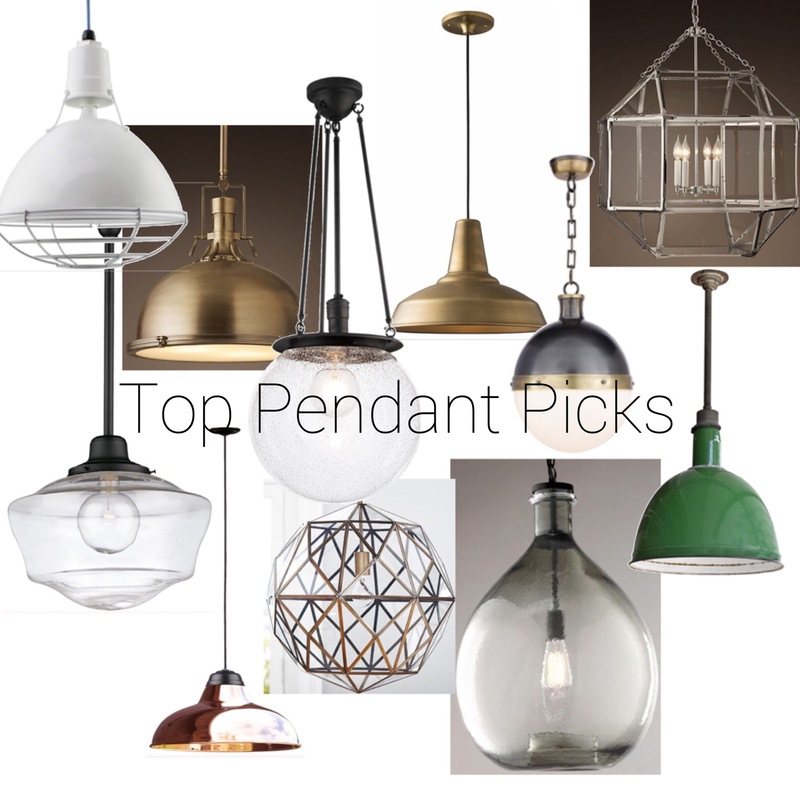 I am currently making a bajillion mood boards fitting each of these pendants to scale – my idea of a good time. I can tell you that pretty much every single one of these guys at least for a day in the last 6 months was the one….until the next day when I decided on another one.